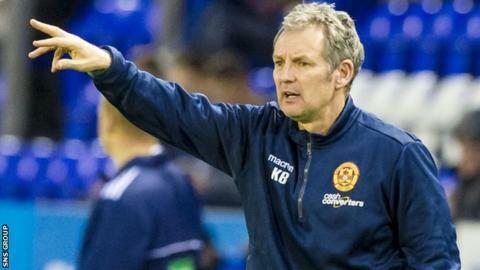 Kenny Black is to remain at Motherwell until the end of the season, reverting to his assistant manager's role. The 51-year-old former Airdrie United boss moved to Fir Park in January 2011 under manager Stuart McCall. Following McCall's resignation in early November, Black was in charge for five games, winning one and drawing one. He was one of six interviewed candidates for the manager's post, losing out to Ian Baraclough, who was chosen to succeed McCall. Black joined Baraclough in the dugout for Saturday's 1-0 win at St Mirren and will see out the remainder of his contract.